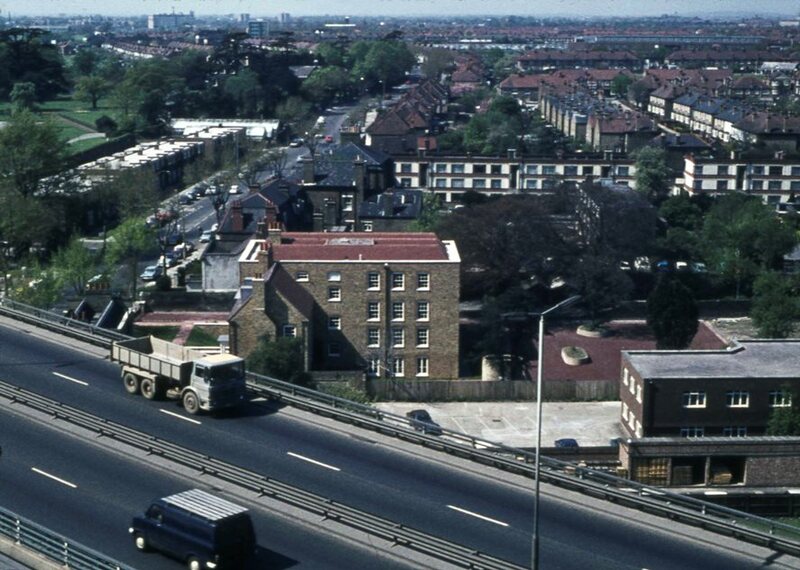 Peter Young took both of these photos on 2nd May 1973, looking down on the M4 viaduct and Boston Manor Road. 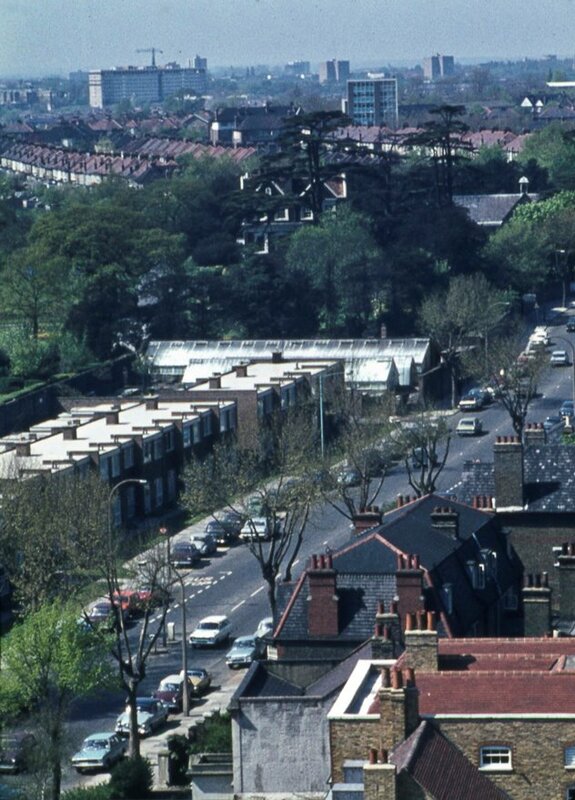 The first photo shows Boston Manor Road looking south, with Boston Manor House to its left in the distance - two cedar trees in its grounds are visible. Janet McNamara has written about the Clitherow family and the history of the house. The second photo shows a similar view (perhaps the first photo is an enlargement of part of the second?) and includes the M4 viaduct . A lorry and van, which could be Matchbox models, are captured in the instant. These are two of fourteen photos taken on the same day, there are other views of the M4 and also some High Street views: the full list of Peter's photos.